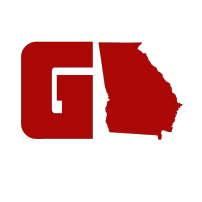 The Georgia Flag Trucker features the trademark GAFollowers logo dressed in the flag of Georgia. Wisdom, Justice & Moderation. Please allow for up to two weeks for merchandise to be shipped. You will receive a shipping confirmation with a tracking number when your order is dispatched, please be patient. Double check your address and information before paying, we are not able to make changes once your order is submitted. All items are made to order. We are not able to accept refunds or exchanges.